1) Should I Get Laser Assisted Cataract Surgery? Makes a more precise incision (capsulorhexis) so that the optical implant (IOL) placed inside your eye to correct vision is more likely to center perfectly and stabilize there for best vision. Without a laser cutting the capsulorhexis, your doctor will use a traditional manual cut, which even with a skilled surgeon will not be perfectly symmetric. That imperfection increases the risk of shifting and decentering of your IOL, reducing the possibility that you will get perfectly corrected vision from your implant. 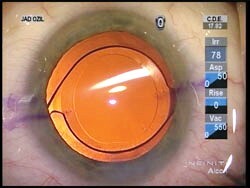 Breaks up the cataract prior to being physically removed in the operating room. 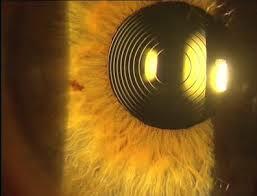 Using the laser to break down the cataract first reduces the time of your operation, which in turn makes for less exposure to high energy phacoemulsification techniques that can increase internal inflammation and increase the risk of operative side effects like cystoid macular edema, iritis, and corneal edema (swelling). Places more precise limbal relaxing incisions to reduce low amounts of astigmatism. If you have astigmatism left over after your cataract is removed you may still be reliant on glasses for clear vision. The laser assisted surgery can help reduce your astigmatism by placing more precise laser markings in the cornea that counteract the astigmatism present in that tissue post-operatively. Who is not a candidate? Dr. Porter states that most patients are great candidates for laser assisted surgery, but he would likely be unable to use the laser procedure for patients with dense corneal scars. If it is hard to visualize the eye through the scars it would be hard to align the laser properly which reduces it's usefulness. 2) Should I Get a Specialty IOL? 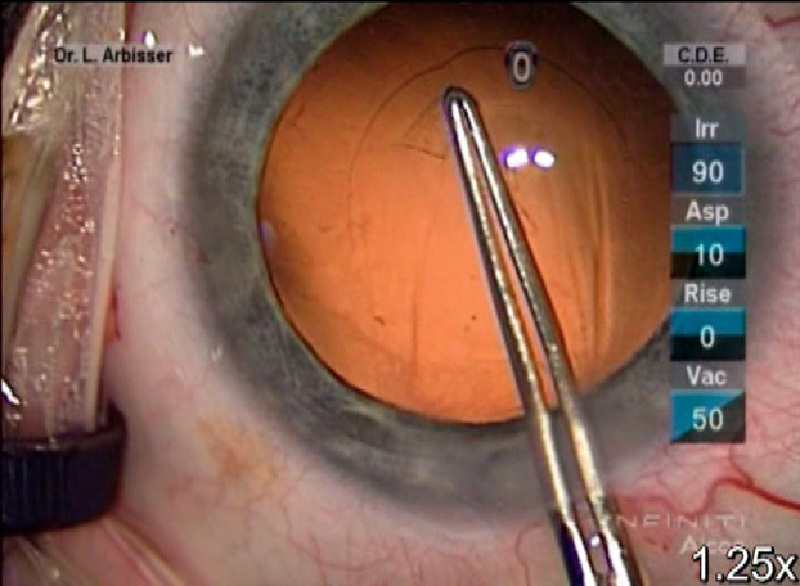 Toric IOL: For patients with more than 1.00D of astigmatism it is unlikely that simply removing the cataract and placing limbal relaxing incisions will fully correct this. A better option is to correct your astigmatism within the implant itself. Many surgeons will recommend that you have laser assisted surgery if you chose to upgrade to a toric IOL because they can better increase accuracy for the way the IOL positions (and thus the vision you will achieve) by creating a more perfect capsulorhexis. Multifocal IOL: Another inevitability about eyes? Around 45 you are going to lose your ability to read and do up close activities (called presbyopia). Standard implants cannot correct both your distance and your reading vision; you have to pick one. If you want to be able to see clearly again to read without reading glasses, you would need to upgrade to a multifocal IOL. These implants have rings of distance and near vision within the implant so that your brain receives both images on the retina for processing. Most people that get multifocal IOL implants may still need reading glasses under certain conditions (dim lighting, really small print, reading for long periods of time), but the need will be significantly reduced. There is also the risk for glare off of the implant because the rings in the implant will create more reflections. Your doctor will discuss the pros and cons with you, but if you want to avoid having to use full time reading glasses after surgery, this is an upgrade worth considering. You can learn more from Dr. Porter here. Not everyone is a candidate for multifocal IOLs due to the possibility that the rings will reduce vision if you have an ocular condition that reduces vision or could potentially hurt vision in future. Patients with diabetes, macular degeneration, glaucoma, and other eye disease are typically excluded from multifocal implants because these conditions could lead to future vision loss that would make the ring design of the implant a hindrance to clear vision. It's quite fascinating to see how cataract surgery is performed. A cousin of mine talked to me about doing this for her eyes. She's become quite restless of wearing contact lenses all day, so she's deciding on getting this surgery to improve her vision. Cataract surgery is something a lot of people look forward to! Knowing you can permanently fix your vision either for distance, or for a combination of distance and near visual tasks is pretty amazing for people that have been living with high prescriptions.